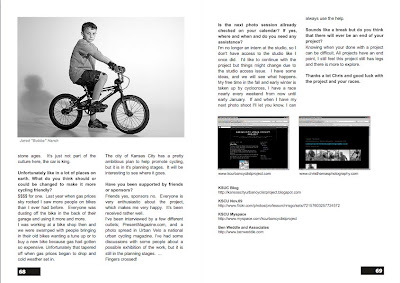 The Kansas City Urban Cyclist Project is an ongoing project documenting the cyclists who ride the streets and call Kansas City home. 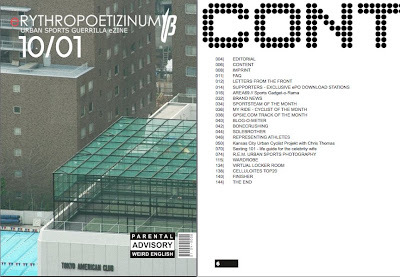 Again, I want to thank each and everyone of you who has taken part in my project, if it wasn't for you there would be nothing, I'd like to say danke schoen to Carlos from eRYTHROPOETIZINUM for featuring us in his ezine. 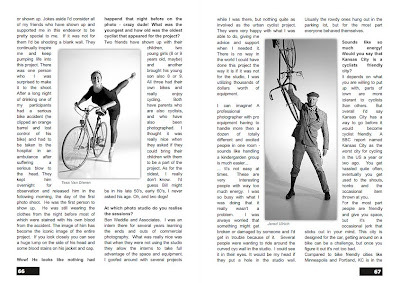 Go check it out and download the PDF (page 50, the Jan '10 issue). It may be from Germany, but everything is in English. 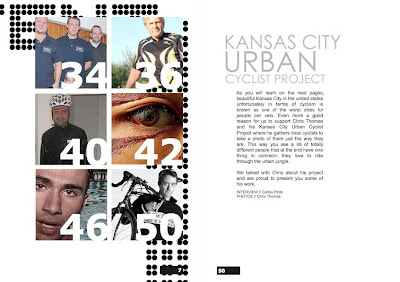 The Kansas City Urban Cyclist Project is featured in the newest issue of Urban Velo, (volume 14, July 2009) on news stands on. 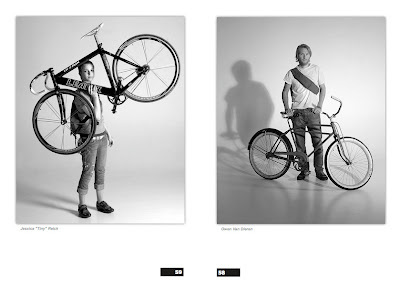 Check out the photo spread starting on page 58. 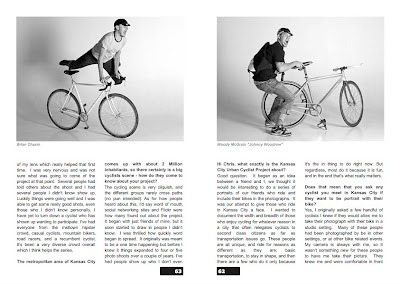 You can read the magazine online or better yet, buy a copy for yourself and show off to all your friends while supporting a great publication. As always this project would be nothing without all of the people who have supported it from the first day we began to kick around the idea. Thanks for letting me take your picture!! Since your already online come visit us on Facebook, check it out and become a fan... or not. 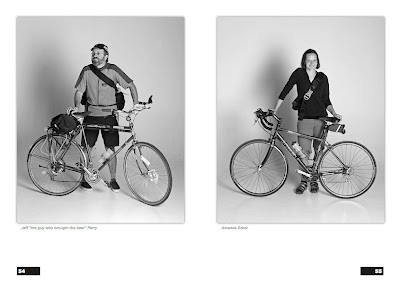 Prints are avaiable for any and all of the Kansas City Urban Cyclist Project. Please contact me with your questions or requests. Books and calendars to come. 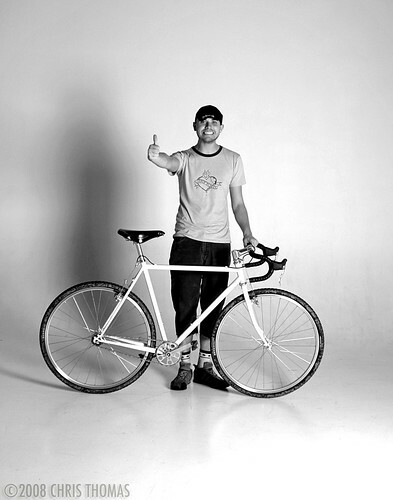 A big thanks for everyone who came out for the fourth Kansas City Urban Cyclist Photo Project photo shoot. I got a ton of good shots and a good time was had by all. 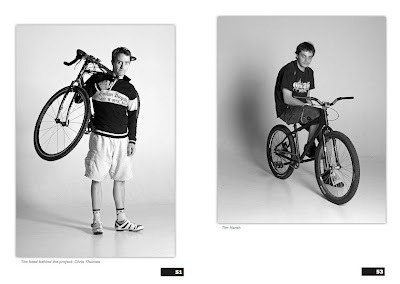 ok kids, you've been asking about it so i've reserved a time to use the studio; sunday, september 21, 2008, 12-2pm. you know the routine, bring your bike and the gear you wear when you ride. 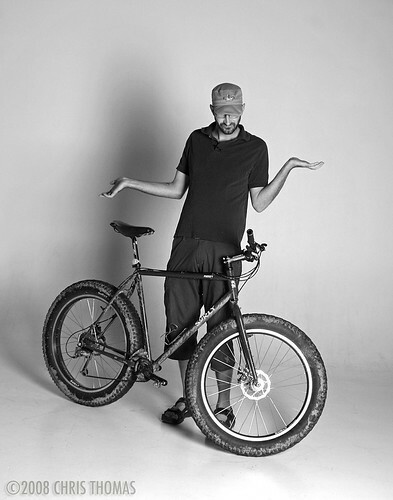 i don't mind if you have come before, i'll still take your photo, but if you have been before all i ask is if you bring something different, a different bike perhaps. however, people who haven't been photographed before get top priority and vip treatment. i'd like to keep this a low key affair. it's awesome that i'm allowed to use the studio and i don't want to piss off the people who are gracious enough to let me use it. 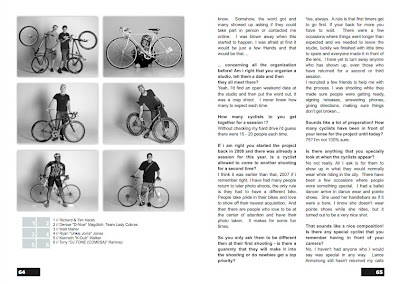 a few people were careless where they put their bikes while inside the studio last time and a few things were slightly damaged because of it and i took hell for it. so please keep that in mind while your inside the studio. 4000 washington, kcmo 64111, look for the greenish / gray doors on the north side of the building near the parking lot. contact me for further details or questions. p.s., i need an assistant to help set up the studio and assist me while shooting. let me know if you want to help, it's not rocket science. you will have to get there a bit early and stick around afterwords and help strike the set. thanks. 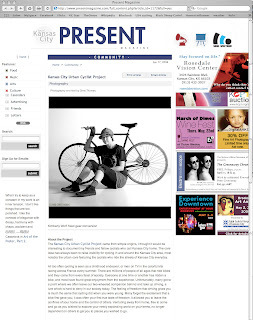 Present Magazine in Kansas City, MO, a local arts and entertainment web 'zine is running an photo essay on my KC Urban Cyclist Project. I want to thank everyone who has participated, if it wasn't for you none of this would have been possible.